The 2017-2018 flu season has been especially harsh, resulting in the deaths of at least 114 children and more than 23,000 hospitalizations. Widespread influenza has been reported in nearly every state despite millions of people getting the flu shot. Below is more information about why this season was so bad and what you can do to decrease your risk of getting sick. The influenza virus comprises four strains (A, B, C, D), and from year to year, the predominant species and strain can change. This season, the prevalence of one of the most harmful strains, H3N3 of influenza A, is high. This strain is more resistant to the flu shot and is also associated with more severe symptoms, particularly in the elderly and children. As a result, mortality and hospitalizations are higher than in years dominated by other strains. Development of the annual flu vaccine occurs well before flu season begins, and as such, it requires researchers to predict which strain of the virus will take precedence. This process, coupled with the fact that the H3N3 strain doesn’t respond well to the flu vaccine, made this season’s flu shot only about 36% effective. Although less effective than in other years, it still afforded considerable protection to many people, especially at-risk populations. Without the vaccine, the virus would’ve claimed many more lives. Experts predict that there will be several more weeks of serious flu activity, possibly extending into late spring. So if you haven’t received a flu shot yet, you should do so right away. Many medical clinics and pharmacies offer walk-in vaccinations and most insurance plans cover the cost. 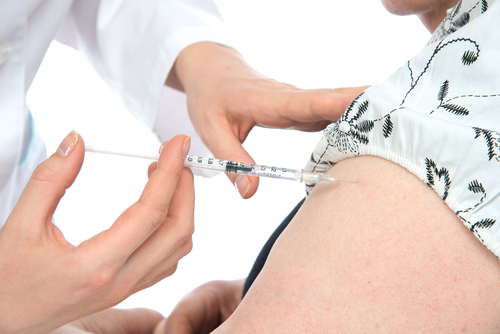 Protect yourself against this season’s flu by getting the influenza vaccine at HealthSmart Vaccines in Chantilly, VA. This clinic is dedicated to improving public health through education and vaccination. To schedule an appointment for a flu shot, call (703) 961-0733 or visit them online to find out more.